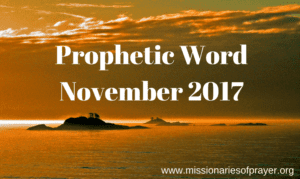 This is the prophetic word for the November 2017 and the Hebraic month of Cheshvan which began on October 21 – November 19. The month is also called Marcheshvan which means the bitter month. It’s known as a time when darkness reigns. Well, it’s also the beginning of winter. If you are sensitive to things in the spiritual realm you would have been picking up on a very eerie stillness in the atmosphere. The kind of stillness that you feel in the eye of a storm or just before you are about to have a storm. It’s the kind of stillness that says that there is a lot going on in the spiritual realm and when it is revealed it will be BIG. At the end of the flood it was a new beginning for Noah, his family and the animals. There was a newness that came out of that judgment. This is also a picture of the wickedness and evil coming to an end and the righteous being elevated in that one defining moment. You must read the prophetic word for 5778/2018 to understand the significance of this. Without going into details, there are a few prominent Jewish figures that died in Cheshvan. It is the passing away of the old to bring forth the new. So a lot of things come to an end this month. Sometimes things come to an end in the spirit before you even see them manifested in the natural. In 1 Samuel 15 – 16 we see that the Lord rejected Saul as King and the prophet Samuel was mourning over the rejection. This rejection happened in the spirit. King Saul continued to wear the crown and the royal robe for a long time after that rejection. So in the natural he still looked like a King but in the spirit he was already stripped of that. God’s anointing was no longer on him. He lost the mantle of King in the spirit before it manifested in the natural. King David on the other hand was anointing instantly in 1 Samuel 16 while he was still tending sheep. He had the mantle of a King and the anointing on his life from that moment. However, following the anointing from the prophet Samuel he went back to tend to his sheep. In the natural he looked the same but in the spirit he was already wearing a mantle that he needed to grow into. The same thing is going to happen this month. God is going to judge some and remove them, in the spirit first and then it will manifest in the natural. While others will be mantled for their destiny. Pray and ask the Lord to give you the gift of discerning of spirits so you can identify what’s going on with those you are aligned with in the spirit. You need to be able to recognize this. 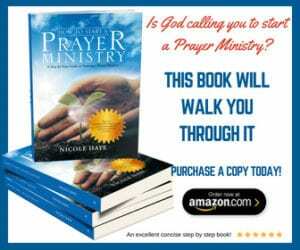 It’s time to pray that God will realign you to His will. Oh, yes He will do it! The tribe of the month is Manasseh which means “to forget”. He was Joseph’s first son. Joseph had an amazing dream and promise but before he was able to lay hold of that promise he needed to face some hardship and tribulation (Genesis 37). He went through many traumatic experiences including the fact that his brothers tried to kill him and that he went to prison because of a false accusation. He needed to forget the things of the past and keep holding on to the promise. He never complained and he never grumbled. He kept a positive attitude. The prophetic word for last month was about dealing with past or current traumas (we prayed for all who asked). I think God is telling us here to move on…forget the past things, the former things and look to the new that He is bringing us into. To sum it up it is a month of God’s judgment, His promise, His renewal, the birthing of new things, very heavy angelic activity. And also, watch for the lion named November. This lion was from a dream. Click on the link to read it at the end of the post. Her e’s a prayer for you for this month. Lord God of the heavens and the earth and all that is within it, open my eyes and spirit to discern the things that are from you and the things that are not. Give me the gift of discerning of spirits. Realign my will to Yours. I repent for all that would call your judgment upon me and I ask that you would lead me into righteousness. I bind the spirit of fear and I loose power, love and a sound mind. Bring about a newness in my life. Reveal and birth your promises for my life this month. Remove the trauma of my past and present and allow me to receive what you have for me right now without grumbling and complaining. Thank you for providing for me all that you have this far. I look forward to moving from this “manna” to even greater things but until then I give you glory for all the blessings I have today, in Jesus name, Amen.